Open ended sales questions are the fundamental backbone of any worthwhile sales call. You are not a walking brochure. An industry expect, a trusted advisor. You are also a sales counselor. You’ll help the prospect make the very best buying decision. A buying decision based on matching their very specific needs with your product/service solution. The win-win in sales is that the seller delivers evident value and is paid in line with that value. The other reality is that how you sell today is often as important as what you sell. So, your sales pitch, your sales questions, and the structure of both matter. The truth is, if your sales conversion rate is not what you want, it’s a simple fix. The chances are you’re not asking enough high quality open ended sales questions. I want to show you a range of open ended sales question. Questions you should be asking as part of building your sales discussion. Open ended sales questions that create engagement, urgency and commitment from the buyer/prospect. These open ended sales questions will make up much of your sales discovery and support you in building your specific value proposition. A sales value proposition that is bespoke for every single client. To find out more about this check out the Sales Value Proposition blog. As a refresher regarding sales call structure, it’s worth going back to look at the blog post B2B Sales Call Structure Made Simple, where I talk about having the sales call split down into four main sections. This will definitely help you slot some of these open ended sales questions into an order that works for you. You don’t have to use all of these open ended sales questions. Some will work better for you than others. But at least try most of them. See the reactions you get and the information you can extract so you can see the questions that help you sell and get orders and those that don’t. By the same token, I’ve not put open ended sales questions in any particular order, since the mark of a great sales call is its fluidity, logical and responsive nature. It’s not a call script! But consider this: more open ended sales questions don’t necessarily mean it’s a better sales pitch with a more likely chance of an order. The more general sales questions you ask then the less chance you have of getting the sales order. The more specifically pain inducing questions you ask, the chances of getting a ‘yes’ increases…until such a point, at which, if you ask too many questions of this nature the door is slammed and you’re out with your coat and your ipad but no order. The art of sales conversations can never be systemised. It’s a responsive interaction, intuitive, intelligent, engaging and educating. So asking a long list of open ended sales questions is commercial suicide. Instead what you should be doing is artfully extracting the relevant information in order to build a compelling value proposition so the will to engage, buy and become a raving fan is inherent in your sales process and sales pitch. Sales has changed a lot over the last few years, not just in terms of technology but also in terms of how buyers buy and how they expect sales professionals to interact with them. Educate the buyer, share with him insights that he’d previously not considered or been aware of. Reframe his existing thinking, so that he sees a broader picture, or can evaluate his buying decisions from a variety of new and creative angles. Show him what the ‘new’ way forward is…take him on a journey where he sees what’s available using your product/service/solution. Demonstrate a very transparent ROI on your product/service/solution. BUT, and this is where many sales professionals drop sales they should pick up easily, you need to do the bulk of the above using carefully crafted open ended sales questions. It’s no longer good enough, or even socially acceptable, to broadcast your message and hope that the buyer listens, hope that the buyer joins the dots for himself. Instead think of your sales pitch almost like a bread crumbs exercise where you’re tempting your sales prospect to follow up because he’s excited and curious to see what you’ll uncover on the journey, what new things he can find out and what stories, insights and information you’ll be able to share. Using great open ended sales questions will help you to immediately capture and retain the interest of the key decision maker. You’ll get the prospect talking about himself, his business, his problems, his needs. Before you know it, you’ll have all the information you need to close the sales with a killer sales proposal. Asking great open ended sales questions is an ongoing opportunity to demonstrate that this is a worthwhile, value laden peer to peer exchange and not a desperate sales pitch. From the questions below, remember, you can modify as needed, to suit your prospect communication style and the feedback the conversation to date, the level of the decision maker, and the value of the solution you offer. Which means, open sales questions are your friend, until you’re getting towards the close, a logical event for both of you and not a bolt out of the blue, since the art of closing is not to until you know you’ll get a yes! 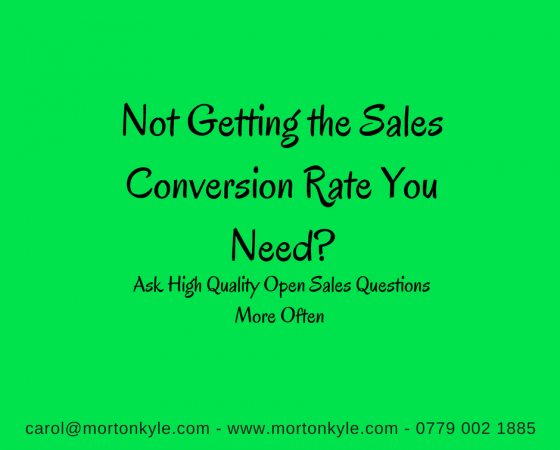 Convert Closed Sales Questions to Open Ended Sales Questions! Help me understand what would happen if you were to get a quote that is half the current price, but gives you only 50% of the must haves on your target wish list? Which is simply a shockingly BAD question, and not simply because it’s a closed question. How would you feel if….we could build a tailor made solution for your business rather than take the off the shelf package, you’d get exactly what you needed that way, what would you have us incorporate as a comprehensive solution? A better question than – can you tell me everything you need? Tell me about how your FD would react to you providing a higher priced executive solution that provides levels and options your business had not encountered before? Which again is a much better question than, how price sensitive is your FD, and is his prime concern solution quality or cheap price? Are you the person specifically responsible for X in your business? From experience job titles mean very little in sales prospecting, instead job functional areas and specific responsibility is much more valuable in deciding whether you are in the right ballpark in terms of who you need to be speaking to. If I could show you a way, using our ABC system to increase workflow rates / reduce back log / improve staff motivation / save £x within your business, whilst delivering a return on investment of £Z over 2 years and additional value to the tune of £Y via an improved user interface, inbuilt audit and compliance trail and a early fault detection system, now are you the person that would ultimately take credit for that sort of win within your business? You might think this is too assertive, but if you’ve done your research, have some great testimonials and case studies and know how good your solution is, and can prove it…why would you use a weak wishy-washy intro…? How do you make buying decisions in your business with regard to products/services of this nature? How should a prospective business partner engage with your business if they wanted to show you how they’ve already successfully worked with handfuls of your competitors, can prove a X% ROI over 12 months and a NPS score of 9.8 with 3 of your main 5 competitors? Who on your board is targeted with improving the functionality / improving the competitive advantage of your business / decreasing costs in the area of …? 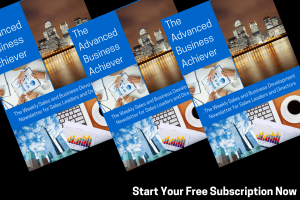 So if you’ve looked at the sales blog Sales Call Structure for B2B Sales Made Easy you’ll see 80% of the call is split into two types of discovery and fact find type questions. For the purpose of this list of questions I am going to give you an overview of open ended sales questions. You can decide which areas you think the questions would go depending on how your conversation progresses. It’s not a call script. Take the opportunity to read the question and understand why there is value, for both you and the prospect, in asking the sales questions you do. Remember, it’s all about collecting the most relevant information you need. 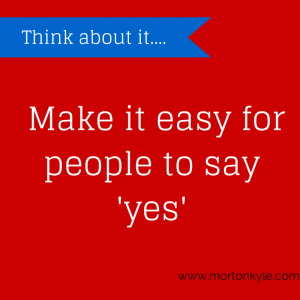 Valuable information to construct a compelling value laden bespoke sales proposition. Get this right so that the buyer sees and claims it’s a no-brainer decision to buy from you. Also, some of the questions will extract the same information, in different ways, they are included here also so you get to see the diversity available to you to deliver a unique selling style and still make it highly structured, yet free flowing, responsive and logical. Can you tell me what provisions do you currently have in place for dealing with X (maybe the processing of highly confidential documentation / automating that the buying process / securing high-quality staff within your business? And how are you currently using that service? How long have you been using that solution? With what frequency do you reviewed how that is working for you, and against what criteria? How do you assess if you’ve got the most efficient/best solution for your current needs? How often do you go out to market to see what’s changed and what options are now available to you? How much of an interest do you take in finding out what solutions your competitors are using to achieve their key objectives? What new technologies now provide in this field…? Here, you’ve indirectly asking them to reflect on whether, over time, their current solution provider has kept pace with the changing needs in the client base. When you did your market review, which alternative providers did you look at and why? What providers do you regard as providing a good benchmark in your industry for this service/solution? By how much would you be swayed in your choice of solution provider by knowing that your competitors were using their solutions? This is quite important as a sales question. It will give you an insight into actually how up-to-date they are in terms of solution and option. Understanding buyer market awareness is really valuable. Knowing this you can temper your proposition and your sales pitch, and selling strategy accordingly. What the three most important things you need your provider to give you when you partner with them? Can you please list the nice to have’s for me? What are the things you really don’t care about? So last time you went out to market and had a review or actual purchased presumably you had some sort of shortlist you picked your provider from? What caused you to reject number two and number three on your shortlist? What was it that they weren’t giving you that your current provider does give you? How has your current provider been able to match your developing needs over the last couple of years? Would you still be using the same buying criteria you used three years ago, is the criteria still relevant to you today and what have you added to that Wish List? You understand how the buyer organises their buying criteria. You now have insight into how they make their buying decisions and what the buying process is. There is parity between their industry knowledge is and where your sales pitch needs to be. And how has not having these five things on your new wish list impacted on your ability to use the service today? Prompt: maybe there’s been a negative impact / implications regarding the time to compensate / or the team resources /using additional budget over the cost of the service / you been making compensatory spends or simply just having to make do….? Okay, see you current solution is due an upgrade so it’s important to think about what you must have what’s the desirable, would you agree? What will our solution need to provide so that you’re able to sell the solution internally to your team? What process will you have for evaluating the possibilities in terms of potential suppliers? And what process will your internal team have for re-evaluating your recommendations? How will you all get parity of thinking at the end of the decision-making process? What is the likelihood that this is just a paper exercise of your business? Such that you scout around get some alternative solutions? Then use this solution to negotiate a better service at a low price from your incumbent provider? If you maintain the current provider, what happens over the next 6 / 18 / 24 months? What are the potential implications for your business in terms of additional cost / resources / stress / non-compatibility / risk / poor user experience etc….? How would you feel if you knew that 8/10 of your competitors are using the system I am proposing to you within their business ? And that as a result they’ve seen in ROI of Y% on their investment within X months? To what degree is this perceived as the grudge purchased by your business by the FD / MD the team? What’s the level of excitement around having this solution in place? What will be the team / business reaction if the purchase is deferred? What would convince you this is the option for you? What’s a no-brainer sales proposition from your point of view? What would you need from me so that you could present my solution as a no-brainer to your internal decision-maker? OK let me ask you about timing, is there any particular reason why you’re looking at an alternative solutions now? Why not last month or in 6 months time? What prompted the discussion with me today? Is anyone else in your business also responsible for reviewing the marketplace and evaluating options? Have you already agreed a date for reporting back on your finding? Is there an associated budget that you’re working to? How many prospects are on your long list and how will you evaluate? Will it be via presentation / meeting / a request for information / tender process? When will you be short listing? How much do you already know about our solution, what it does and who is currently using us among your competitors? OK, let’s imagine that you make the right decision and you pick my business to partner with, what would success look like for you in three / six / nine months depending on the success criteria? What milestones will you be using to check during this period that you’ve made the right decision? Who else should I speak to in your business to best understand the different user experiences? Where are you likely to encounter internal resistance from taking my proposal forward? How often does your business make purchases of this nature? How often does your business make investments on this scale? What happens if you decide to stick with your current provider? How can I make it as easy as possible for you to evaluate my proposal in line with your existing provider and your shortlist? I can arrange for you to speak with some of our existing users. How many reference accounts would you like to speak to? You’re talking about purchasing our solution as a cost saving exercise. How would your decision-making criteria change if we looked at this purchase as a user experience purchase or automation piece or a compliance tool or a service that will provide your business with a competitive advantage? Would that actually change how you look at what you’re getting for your budget? How would this actually alter your wish list? This is by no means an exhaustive list of open ended sales questions. This list is designed to show you the clued nature of any sales discussion. Illustrating the he diversity of questions available to extract relevant information. So you can deliver your expert knowledge to the buyer without broad casting. Read through the open ended questions but don’t think literally about the questions you ask. Think of the questions only in so much as the valuable information they deliver back to you, and how that information helps you deliver very specific value laden sales propositions. You’ll want to repackage some of these into your own language, and that’s fine. Your open ended sales questions should be natural and real world. So, next time your sales conversion rate is dropping just check how much talking you’re doing compared to listening. The buyer should be speaking at least 80% of the time. Remember, look at the amount of open ended sales questions you’re using. This entry was posted in Blog, Sales Training and tagged Best Sales Questions to Ask, Business Discovery Questions, Business Questions to Ask, How to Ask Open Questions in Sales, List of Open Ended Sales Questions, Open Ended Questions, Open Ended Questions for Sales, OPen Questions in Sales, Sales Questions. Bookmark the permalink.